Apparently this mound was originally a rectangular, flat-topped, platform mound with a north south axis greater than its east-west axis. That configuration is indicated on the Patrick Map and is confirmed by the Thomas (1894) Map. McAdams, however, represents Mound 44 as a square mound slightly smaller than Mound 41. When the UWM Map was drawn 70 years later, Mound 44 had assumed a more conical or dome shaped form due to extensive cultivation. Recorded heights for this mound decreased through time. McAdams (1882), for example, gives a height of 18 feet (5.5 meters); Thomas (1894) records 15 feet (4.6 meters); and Peterson-McAdams (1906), 10 feet (3.05 meters). The 1966 UWM Map indicates a height of 3 meters (9.8 feet) if the 129-meter (423.2foot) contour is used as a base line, or 2 meters (6.6 feet) if the 130-meter (426.5-foot) contour is used. 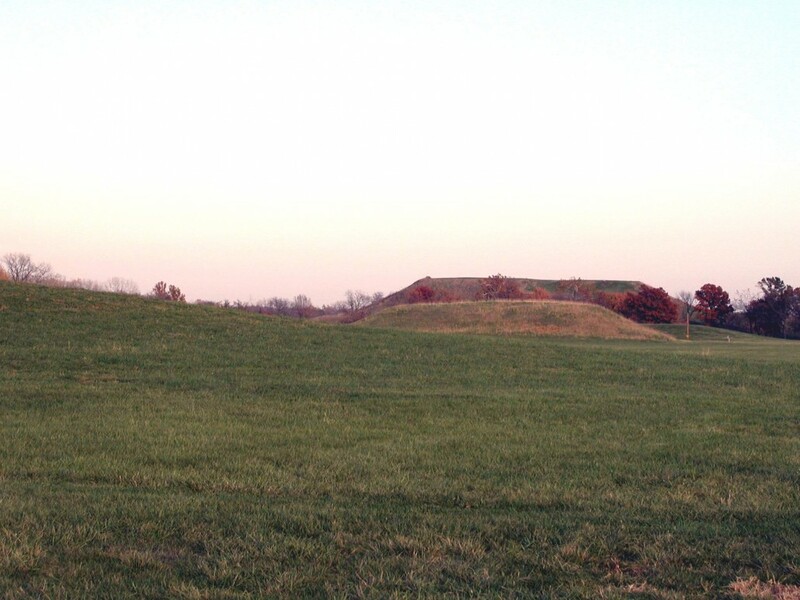 No archaeological excavations have been undertaken in Mound 44. However, in 1961, the Illinois State Museum, in cooperation with the Illinois Division of Highways, conducted archaeological research in the area designated Tract 15A, 3,000 feet (914.4 meters) west of Monks Mound and north of Highway 40. This area is just west of Mound 44. In excavations at the southern end of Tract 15A just southwest of Mound 44, a long, winding prehistoric trench was encountered. Also unearthed in Tract 15A were the circles of posts, the Woodhenges, found in the neighborhood of Mound 44.